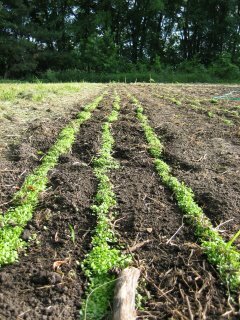 Mmmm... about 15 more days until it's salad mix time! Okay it was 20 days....I just ate my first salad of the first product from the Farm this growing season. I am excited for things to come. Keep up the good work guys! Squash, beans, and corn, OH MY! The cows LOVE Farmer Moe.